Two days in Lisbon give you enough time to explore the city’s famed cobblestone streets and have some of its top experiences, from Jeronimos Monastery to a live fado performance. Plus you can take a day trip out to the beautiful towns of Sintra and Cascais. Here’s how to maximize 48 hours in and around the Portuguese capital. Morning: Get the lay of the Lisbon land on a hop-on hop-off sightseeing bus tour or guided walking tour. Alternatively, board the yellow-hued Tram 28, a route that’s become emblematic of the city; you’re best off going round-trip from Martim Moniz. Afterward, head to one of the charming cafés at Rossio Square for lunch. Afternoon: Devote hours to two of Lisbon’s UNESCO World Heritage Sites and most beautiful examples of Manueline architecture: Belem Tower (Torre de Belém) and Jeronimos Monastery (Mosteiro dos Jerónimos), about a 15-minute walk apart. The monastery houses Portuguese explorer Vasco da Gama’s tomb. Night: Spend your evening soaking up local culture at a traditional tavern in the Bairro Alto or Alfama neighborhood. Both have a host of pubs where fado, a traditional form of music characterized by melancholic storytelling, is performed, often while petiscos (Portuguese tapas) is served. Morning: Spend your second day touring two of the most interesting day trip destinations from Lisbon: Sintra and Cascais. Start with Sintra, known for its gorgeous architecture, including 19th-century National Palace of Pena (Palácio da Pena), an extravagant castle that looks like it was plucked from a fairy tale. 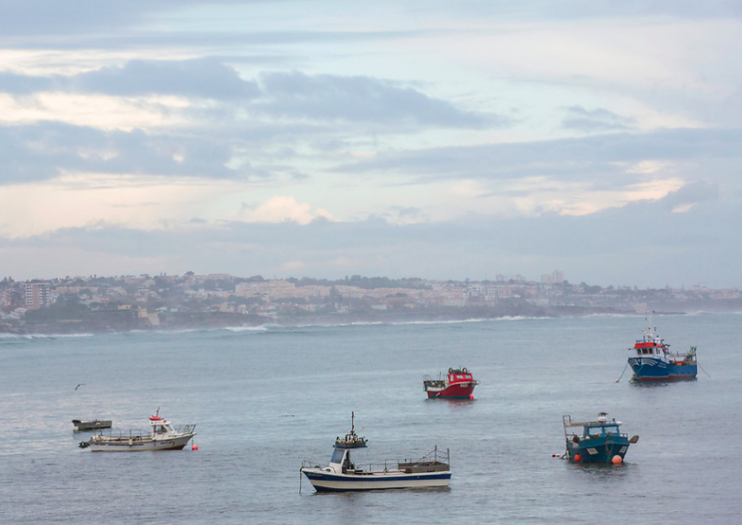 Afternoon: While you could easily spend a whole day in Sintra, it’s worth heading out to Cascais, an old fishing town that’s popular with weekending Lisboans in summer. Though not as grandiose as what’s found in Sintra, the architecture here is still pretty lavish, with lots of lovely old structures throughout the picturesque town. Night: If you’re into seafood, it may be worth sticking around Cascais for dinner; the town is full of charming seafood restaurants. Alternatively, head back to Lisbon, making sure to pair your evening meal with some local wine, port, or delicious ginjinha, a Portuguese cherry liqueur that’s often served in chocolate cups. Explore the ancient Roman city of Évora and savor an amazing olive oil tasting on this small-group guided tour from Lisbon. From Portugal's capital, venture east across the Vasco da Gama Bridge which spans the Tagus River and see top attractions in Évora such as Giraldo Square and St Francis Church. Savor smooth olive oil at a complimentary tasting and then journey to see one of the largest free standing stone monolith collections (menhirs) in the world in Almendres Cromlech. Enjoy plenty of attention from your guide on this small-group tour with numbers limited to eight people. Visit Sintra, Cabo da Roca, and Cascais on a full-day, small group tour from Lisbon that explores palaces, gardens, and gorgeous historic architecture. See the romantic Pena National Palace, stand at Europe's westernmost point, then stroll the seaside village of Cascais, with a picturesque blend of historic fortifications and palm-lined beaches. Group size is limited to 8 people to ensure personal service, and the day includes a flexible mix of guided tours and independent time to explore.